FaxaDeal is a direct distributor of facsimiles from the most trusted and recognized brands in the world, such as Sharp, Canon, HP, Brother, Panasonic, Ricoh, and Okidata. We keep our prices at an all-time-low by operating online only, and we focus on fast and corteous nationwide service to small businesses and home users. Whether you shop online or call us direct - you are always guaranteed to get competitive pricing on thousands of name-brand fax machines, and all-in-one multifunction machines covered by industry standard warranties. Faxadeal.com is the source for all your fax machine needs. We recognize that Customer preferences are diverse and so are demands and requirements to satisfy them. Our goal is to bring you a combination of low prices, extensive selection, secure transactions, and excellent service thereby earning consumer confidence and financial strength. There’s always something great going on at Faxadeal.com. 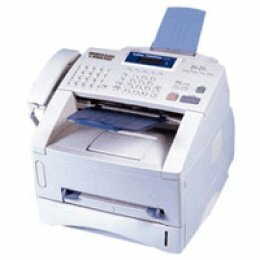 In addition to our famous "We Will Meet Or Beat Any Price" guarantee, we offer wholesale/factory-direct pricing on various fax machines. Special pricing will last until the number of products we set aside for the special pricing runs out. So check the Faxadeal website everyday and act quick, otherwise you may miss out on a great deal! Call us today at 1-800-770-7496.